Have you ever celebrated “Meatless Monday” when deciding what’s for dinner tonight? While browsing through some of our favorite food blogs, we saw the reoccurring theme of people talking about fantastic veggie and vegan dishes with a little kick. 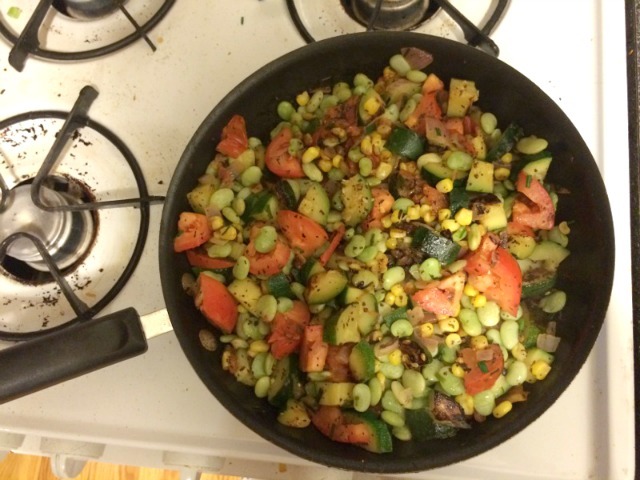 Super inspired by Food52’s recipe, we decided to give it a go and whip up our own version of Succotash — a legume-based dish usually made up of Lima beans, corn and other veggies. To start, if you are working with uncooked Lima beans, toss them in a pot of boiling water for up to 3 minutes to soften and set them aside for later. Next it’s time to prep the rest of the veggies. 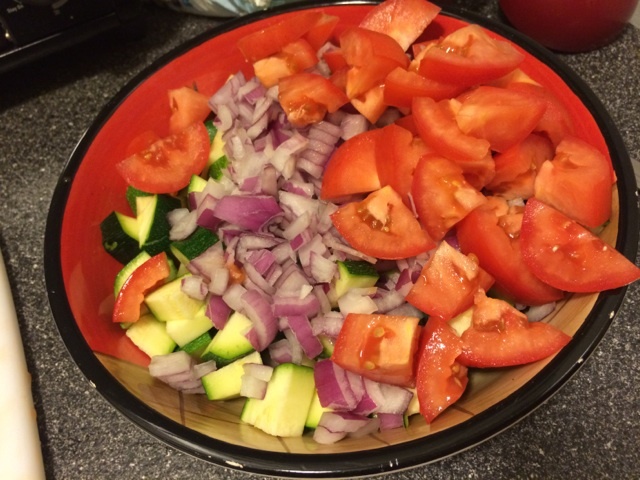 Chop the zucchini in half and into quarters for easy to bite pieces, next, dice the red onion and slice up the tomato. 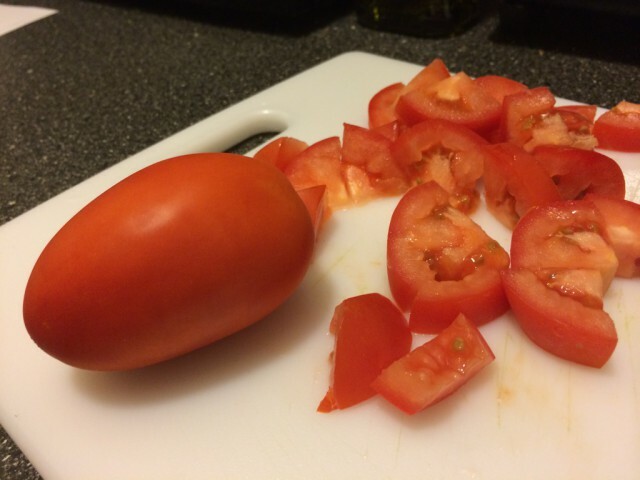 We liked the tomato in larger chucks for more of a hearty dish so they don’t wilt over the heat. Halved cherry tomatoes would also work well here. 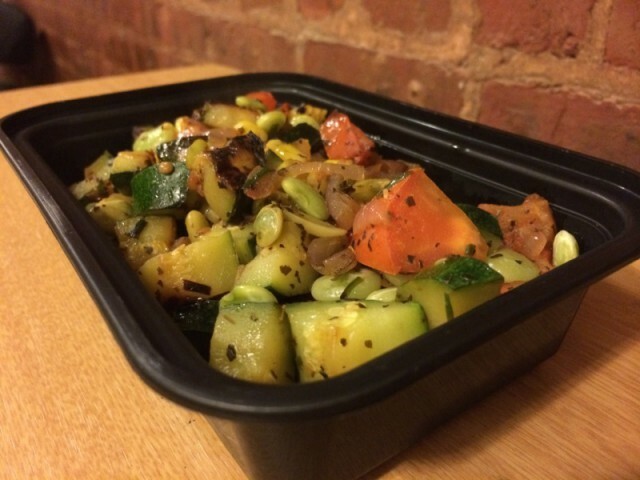 Keep a prep dish handy to toss in your cut veggies to hold onto before you are ready to place on the stove. Once your ingredients are all chopped, start by melting some butter in a skillet (or wok) over medium high heat. 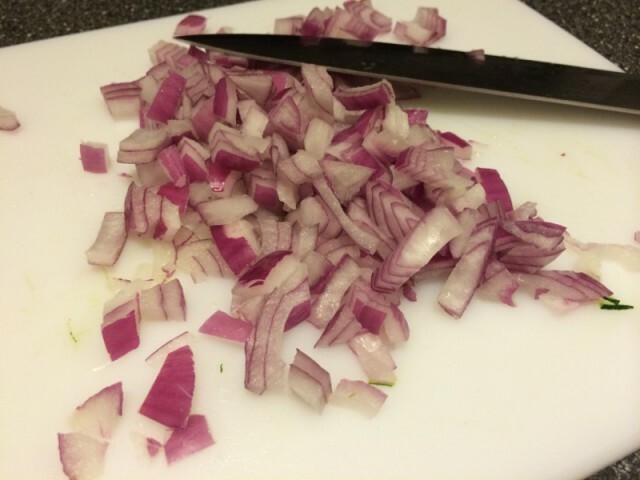 Cook the onions first for a few minutes until they are soft. 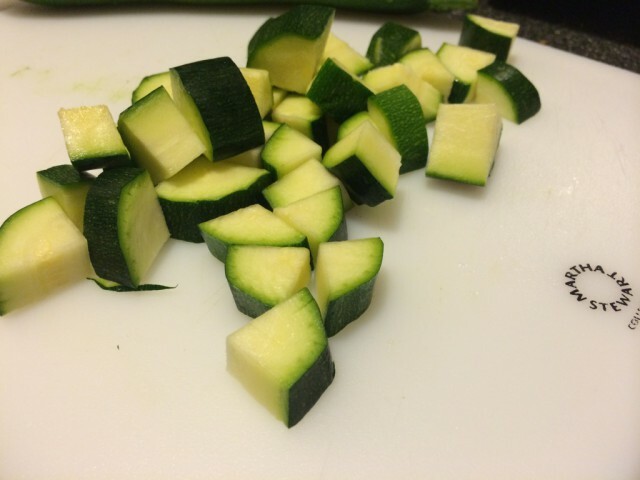 Next, add in the zucchini and cook that for another 5 minutes. 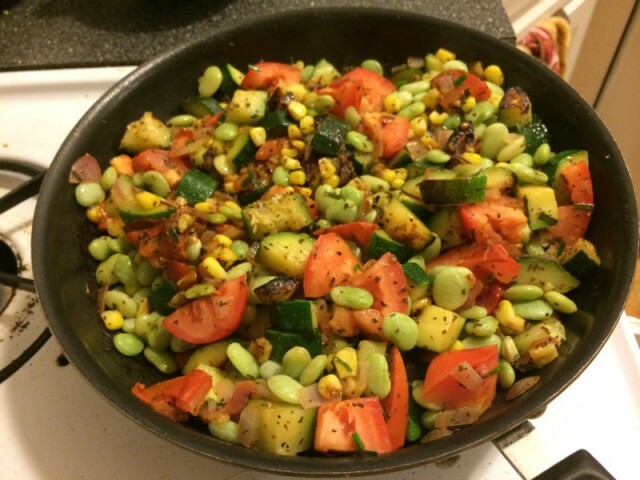 The add in the Lima beans, corn and tomatoes to the mixture to meld the flavors together. Saute these for another few minutes, until the tomatoes are warmed and cooked through. Toss in salt and pepper to taste at this point. Once cooked, add in the lemon juice, basil and chives to taste and mix thoroughly. If you’d like a little kick, crushed red pepper flakes are not a bad addition either. Adjust to what you like. Very refreshing, this dish was nice and light in the summer with such great flavors with a whole mix of delicious vegetables. Also vegan, you can mix in chicken with pasta with the leftovers you will undoubtedly have the next day. Enjoy! 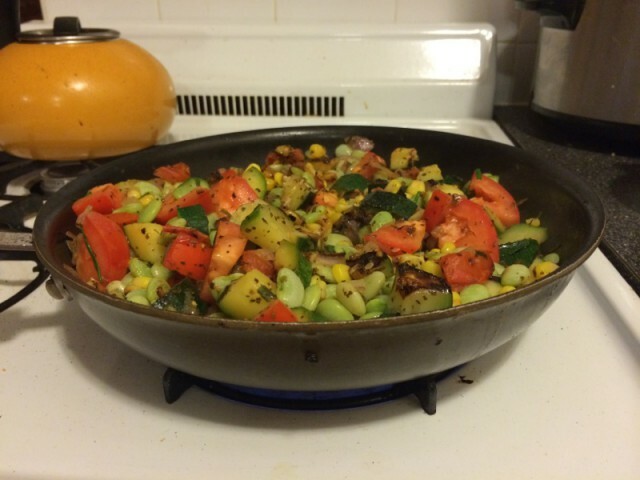 Tags: butter, corn, ONION, recipes, ROOKIE CHEF, Succotash, summer, tomato, vegan, vegetables, zucchini. Bookmark the permalink.